"Secondary education" then teaches a conceptual framework that can hold all human knowledge (history), fills in basic facts and practices of major fields of knowledge, and develops the fundamental skills (perhaps in a simplified form) of every major human activity. "Tertiary education" then prepares a person to pursue an educated profession such as law, medicine, science, information technology, music, or education. We aim to provide this approach of high quality lessons to all all students who study with us, the student need not be advanced, as we train everyone from beginners to professionals, it is our approach and dedication to detail that is advanced. Private high level music instruction allows us to interact with the student in a forum that co-ordinates a very challenging curriculum catered to each individual student's development, and allows us to explore the potential of students in each of the three phases of learning. Students learn to not shy away from hard work, the understanding of self-discipline, and what it means to pursue and accomplish goals which they set for themselves. We strive to give our students the tools they will need to successfully pursue post secondary education, and become leading professionals of the future. The foundation of training any individual begins with a solid basis of technique. There is a modern misconception that technique consists of scales and arpeggios, instead of recognizing it as the basis for the musician's musical vocabulary through which they must communicate their ideas. Our technical curriculum begins from the first discussions of the instrument and the first note the student plays. Instruction based in the physics and mechanics of the instrument, as well as the governing laws of motion, biomechanics and physiology of the human body, lay the base of every note that we teach so that expression becomes natural and easy for the student, enabling them to explore the creative and artistic processes more fully. The production of concert hall filling tone is emphasized from the first notes the student plays. Though we aim to give our students every advantage as they develop and compliment their academic studies and other professional pursuits outside of the piano, we also aim to give them the tools, contacts and ability as pianists that will keep doors open at the world's leading music institutions if they choose a career in the performing arts. One of the teaching tools we utilize is our monthly Master Class series, offered both at our teaching studios and also at the Ottawa Steinway Gallery. This teaching forum allows students the opportunity to perform for their peers and receive instruction in their performance space. This forum is used to create fluency, comfort, and flexibility while performing, and offers the students the chance to learn from each other on a regular basis and also strive towards excellence in their studies. As there are many different levels of performers and ages, we have divided the classes into beginner and advanced formats. The beginner class works on developing the understanding of performance practices and presentation skills as well as striving to make performing second nature for the student. This class is highly recommended for all students after completion of their first year of study. The advanced class deals with more advanced repertoire and will address more complicated issues pertaining to the works they are studying. Students in the beginner class will perform on a Steinway O piano. The advanced class is mandatory for all students doing any sort of public performance, or that are preparing for competitions or auditions. Though each student will spend a significant number of hours in the practice room and performing in our master classes, opportunities to let the students stretch their fingers and put to the test what they have been learning are an extremely important part of the education process. These opportunities not only hone their professionalism in their presentation skills, but it also provides memorable fun and exhilarating experiences that will stand out in their memories as they grow. Each year, if they are ready, students have the opportunity to perform in local monthly recital series such as the Ottawa West Junior Music Club, Laurentian Junior Music Club, festivals and competitions such as the Kiwanis Music Festival, Canadian Music Competition and local concerto competitions, as well as opportunities to perform for other notable teachers in Ontario and Quebec that are regularly part of our network. Examinations for the Royal Conservatory of Music, Conservatory Canada, and Trinity College London UK. also provide a forum for assessment and feedback, should they fit into the learning needs of the student. A Pianist of great versatility, Mr. Phelps is known for his interpretations of Chopin, Liszt, Beethoven and Rachmaninoff and is equally in demand as a soloist and as a chamber musician. His work has been broadcast on CBC Radio, and he has completed tours of Ontario and Manitoba, performing nearly 60 concerts with the talented Soprano, Ms. Rachel Snow. He spent 2006 touring with Cellist Lydia Munchinsky, 2008 with violinist Kathlyn Stevens and in 2010 and 2011 Mr. Phelps toured a concert of musical celebrations for the lives of pianist/composers Frederic Chopin and Franz Liszt for their anniversary celebrations. 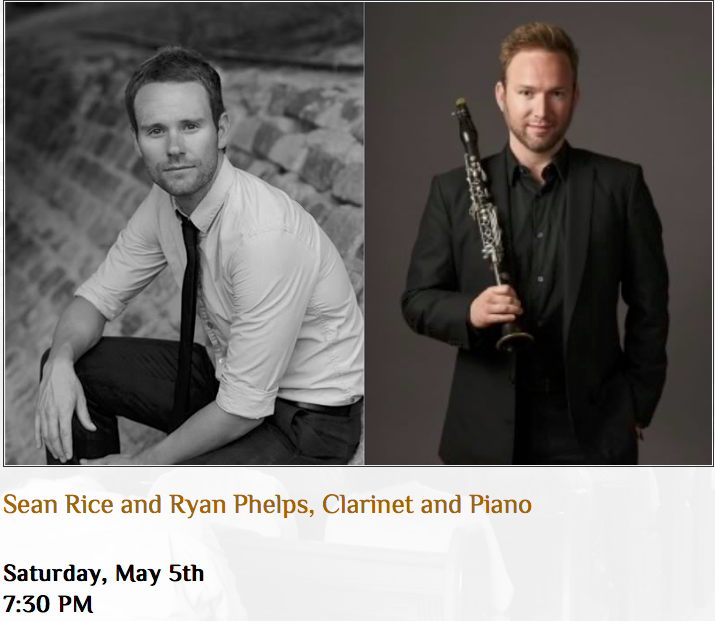 He recently been heard in recital with Clarinetist Sean Rice, who is currently 2nd Chair with National Arts Centre Orchestra at Festival Enchante in Pontiac QC and in the Fall of 2018, Mr. Phelps is looking forward to performances with up and coming coloratura Susan Elizabeth Brown who is currently touring with Jeunesses Musicales Canada. As a teacher, Mr. Phelps has combined his lifetime of learning as a high level athlete in Track and Field, Football, and Cycling and combined that with his education and experience as a pianist. His understanding of biomechanics, and the physiology of the body is behind the crafting of every note that he teaches and yields an ease and freedom of expression in the virtuoso piano repertoire. This approach has consistently resulted in excellence for his students who have been celebrated at the Ottawa International Chamber Music Festival Rising Stars Gala, Ottawa Kiwanis Highlights concert, and have been prize-winners at the Canadian Music Competition National Finals and Kiwanis Music Festival Provincial Finals. 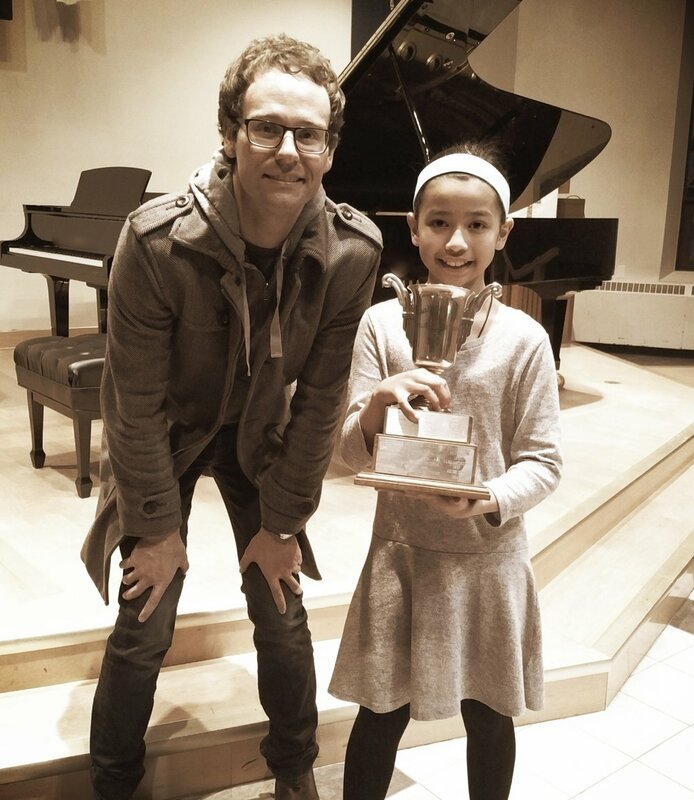 In 2018 one of Ryan's students won first Prize at the Crescendo International Music Competition for his performance of Rachmaninoff at Carnegie Hall in New York. Ryan’s students have received numerous scholarships, and have gone on to study music at many leading music programs such as the Cleveland Institute of Music, University of Toronto Faculty of Music, Western Faculty of Music, Wilfred Laurier Faculty of Music, and University of Ottawa Faculty of Music. Gabriel Tam-Poudrier holds an Honours Bachelor of Music Degree in Theory and Composition from the University of Western Ontario. He studied composition with Dr. Peter Paul Koprowski and Dr. Omar Daniel. In 2018 he received his first professional commission for a work called Return to the Monastery for choir which was recently recorded by Seventeen Voyces under the Direction of Kevin Reeves. Gabriel’s output as a composer also includes many chamber and solo works. Gabriel maintains a career as an active performer and soloist. In 2018 he performed his debut Organ recital featuring the works of J.S. Bach. Gabriel commenced his piano studies with pianist Ryan Phelps and then went on to work with Tina Yanchus and James Hibbard at Western University and other notable pianists including, Ian Parker, Michel Fournier, Peter Longworth and Ron Turini. Gabriel attended the Provincial Piano Finals twice during his studies with Ryan, and on both occasions received honourable mentions. During his education, Gabriel received many awards of academic excellence and maintained his place on the Dean’s Honour list for the duration of his university studies. Gabriel’s teaching career since his return to Ottawa has been extremely successful. During his first year of work with the Ryan Phelps Institute, two of his students were selected to perform at the Ottawa Kiwanis Music Festival Highlights Concert, and one of his theory and composition students wrote a riveting entry in a competition overseen by Hans Zimmer to write the score for the National Geographic series based on Albert Einstein, “Genius”. Gabriel approaches his teaching using a unique, creative, and analytical approach implementing the successful technical framework he has learned from his training with Ryan. 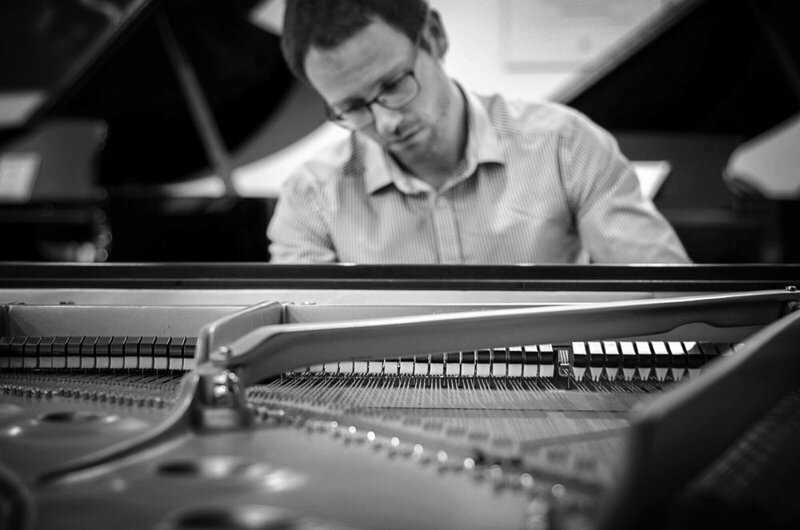 Gabriel is not only a very inspiring and passionate artist with a great sense of humour, he is fully bilingual and offers his piano and theory instruction in both French and English. We understand that being parents in the 21st century is a very busy undertaking. Young people today are busier than they have ever been and now with advances in technology a parents traditional work day has no end to it. This makes transportation to and from extra-curricular more complicated than ever. We offer the option of lessons at your residence so that the education in music that you are seeking, can happen in the comfort of your own home. This simplifies the process for the parent as it saves time and driving, but also more quickly transitions the student who is participating back into their other academic pursuits. A high quality responsive instrument is of paramount importance when studying music. It plays a very large development in the physical development of the student and also in their artistic development as the tone and colour they create on the instrument will become the governing factor in their creative process. We understand that most parents do not have an extensive education as pianists and that purchasing the correct instrument can be a daunting process. We offer our expertise in this department, and work with families to find the correct instrument to meet their needs and budget. Through a close partnership with Steinway & Sons at the Ottawa Steinway Gallery, we are able to offer our clients preferred pricing not available to the public. This arrangement makes the entirety of the Steinway Family: Essex, Boston and Steinway & Son’s Piano’s accessible to students that require world class instruments to develop their creativity. “A students education as a pianist begins with listening to the colour and tone of their first note"
It has again been a very successful year for all of the students at the Phelps Institute where students have made great strides in the performances at masterclasses this year, as well as at the Kiwanis Music Festival. I am very proud of how all of the students who participated, (Sam, Perry, Ryan, Kaitlyn, Jillian, and Laura) have grown in their poise, and presentation skills, and developing of confidence in their craft. Of note this year Laura D'Souza received the Kathleen Lett McLain Memorial Scholarship, and received the Trophy for Best Musicianship at the Trophy class where she was the youngest performer by a large margin! She has demonstrated steady progress from her last years performance at the Kiwanis Highlights Concert where she received the Glen Gould Memorial Scholarship and has matured both technically and musically. She is currently practicing hard as she has been given the honour of performing this year at the Ottawa International Chamber Music Festival Rising Stars Concert on July 22nd. She was selected to be part of this great event by my chamber music coaches from my time at the Kincardine Chamber Music Festival, Jamie Parker and Annelie Patipatanakoon of Canada's Gryphon Trio. Now that the dust has settled from the whirl wind of preparations, everyone is getting ready to use part of the summer months to get the fingers working through new notes for next year. It seems that Piano Concertos are going to be filling peoples homes and masterclasses in 2017/2018. Perry is studying Saint Saens Piano Concerto No. 2. in G minor, Laura is working on Mozart Piano Concerto No.19, K.459 in F major and Sebastian is currently preparing Mendelssohn Piano Concerto No. 1 in G minor. My current role as resident orchestra at the Phelps Institute is going to be a busy and exciting one this year. Laura's first appearance on the stage of the Ottawa International Chamber Music Festival was a great success! She played with grace and superb artistry, and was received with great enthusiasm from the audience. Her performance is posted on our Facebook site to enjoy. Bravo! As of October 12, 2017 The Ryan Phelps Institute is very excited to welcome home its new member! It's an O! Our new arrival is home safe and sound! Our first Junior Masterclass of the year kicked off on Friday October 20th! Gabriel and the students had a blast. It will be great to see how all the young performers develop during their first year honing their skills. Sean and I are very excited to be presenting this program at Pontiac Enchante in May! Sebastian Strikes Gold in New York! I am very proud to say that Sebastian Minnes has begun a very strong start to his year! He won First Prize at Steinway's Crescendo International Piano Competition in New York City after a stirring performance of Rachmaninov's Etude Tableaux Opus 39. No 4. in the beginning of February 2018. During his time in New York, he also had the privilege or touring the historic Steinway factory. In addition to his successful performance, he has since been invited to study at an international summer program in Germany for young artists. Congratulations Sebastian! I cannot wait to see how Kiwanis, and the Canadian Music Competition pan out this year, I have a feeling good things await this young man! Austen and Richard Rocking out at the Ottawa Kiwanis Highlights Concert playing their Duet! Austen and Richard had great success in their first year of study at RPI studying under Gabriel, and both participating in the advanced masterclasses. Both Boys did very well at Kiwanis this year and were chosen to perform as soloists and also as a Duo at the 2018 Highlights concert! Keep up the good work boys!